"The philosophy of the agency is in keeping with these goals. A large part of the knowledge component is providing our policyholders with an understandable view of their insurance coverage. " 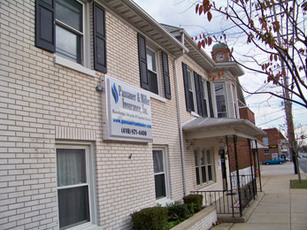 Passauer and Miller Insurance, Inc. Was established in January 2003 with the merger of Passauer Insurance Agency serving Carroll County since 1954 and David W. Miller Insurance, Inc. who has served clients across the mid Atlantic Region for over 30 years. The Agency goal is to provide quality insurance solutions soundly based in coverage and risk knowledge, acting with the utmost integrity and providing superior service to the insurance purchasing public we serve.